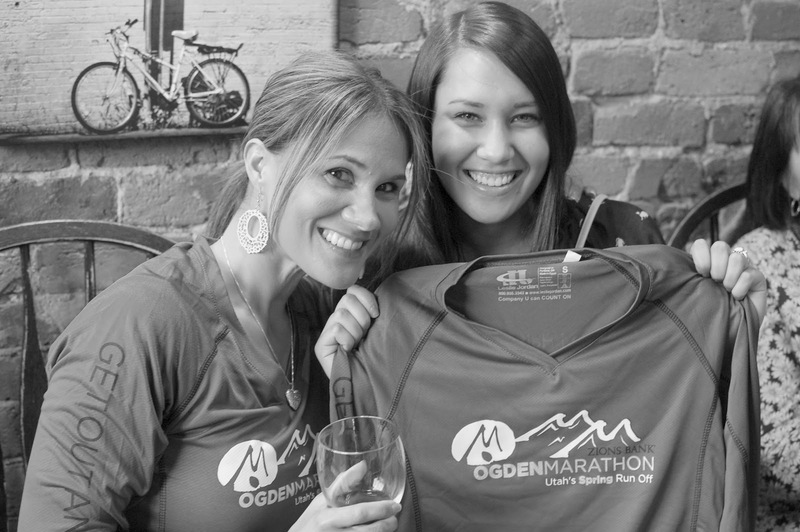 My two sisters, their husbands and myself originally signed up as a relay team for the Ogden Marathon. My oldest decided to do the full, my other sister wanted to do the half, which led me deciding what I wanted to do. 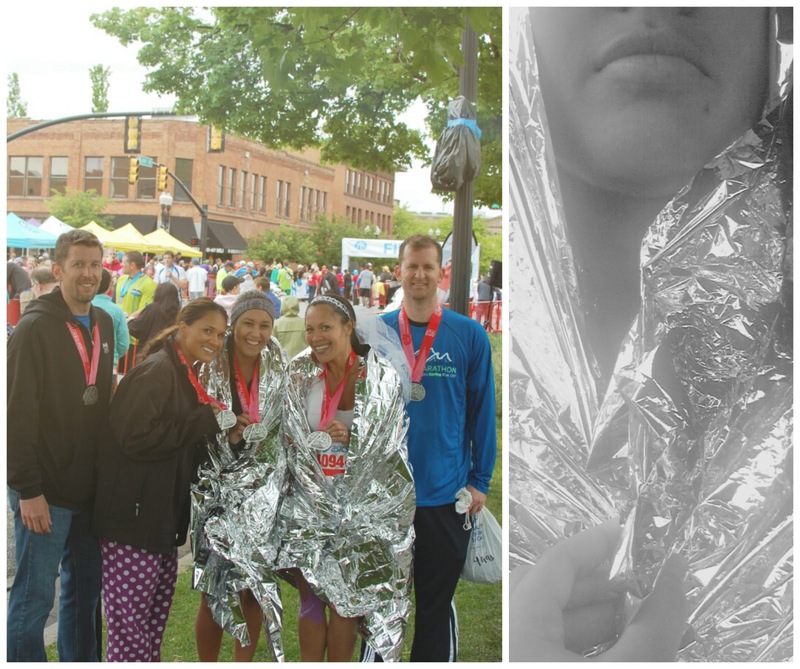 I decided then and there that I wanted to do the half with my sister, instead of doing just my leg, which was 5 miles. So I trained for the 13.1 miles. The day of, I was feeling confident. Nervous, but confident nonetheless. I had trained, I felt good, I felt like a runner, I was ready. By about mile 5, I was hurting. By mile 6, the pain was excruciating, which led me to tears, which led me to barely being able to catch my breath. The fight going on in my head was unlike anything I've experienced. Do I stop? Do I keep going? What if the pain gets worse? What if I can just run through the pain? It was then I realized running is much more than physical, it's emotional. Mental. It's your body telling you to stop, but your mind telling you to keep going. By mile 10, I was sobbing in the pouring rain. I knew I couldn't go any further. My body was telling me to stop, and I felt compelled to listen. I was brought to the finish line in a medical van (a REALLY warm medical van, but still). I was first embraced by my mother, which flooded me with more tears and emotion than I can put into words. I had to tell her. I had to tell her I couldn't make it. I couldn't even finish. I couldn't help but cry even more when I saw my husband, my sisters, my mother-in-law, anyone. I felt like a failure. I felt devastated. I felt like everyone was cheering me on, and I let them all down. I set a goal of running 13.1 miles, and I failed to do so. I felt a disappointment in myself that I've never felt before. The feeling of being so close to something, but not achieving it, is a feeling unlike any other. Giiiiiirl, you better high five yourself! 10 miles is HUGE! I hope you're allowing yourself to soak in that pride because you should be very very proud. You're amazing! Gosh, thank you so much girl! You have no idea how much that comment made my day! You are the sweetest. Thank you!! Jody, you are not a failure! I ran in the Ogden Half too and let me just say, we were up against some crappy weather that put quiet the damper on things, it made it so difficult! It was my second half marathon, which isn't a lot of experience I know, but every race is different and your body reacts differently to them all! So don't give up girl! you can do it! I would suggest the Park City Pink half marathon next, its a great way to keep in shape between the Ogden races and it's a all women's race for breast cancer that is truly an emotion and inspiring race! Yeah, it was rough! I bet you did great! Park City sounds fun! When is that one?? Maybe I'll do that! I'm doing the Huntsville half in September. It's supposed to be really pretty and it's all downhill. You should run it! Yeah, that weather was ridiculous! I never want to run in the rain ever again! The fact that we undertake an initiative is big enough. The result is just an appearance. Participation is the main thing. That's a great way to look at it! You're totally right. Thank you! I really needed to hear that!